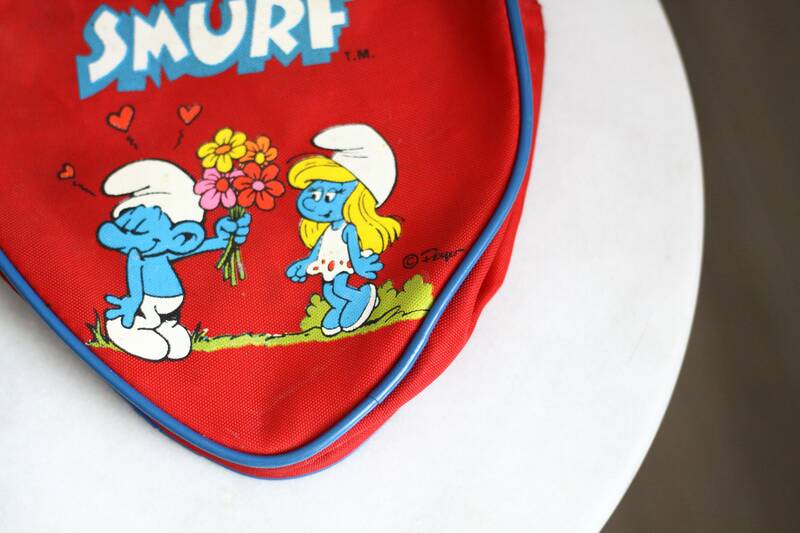 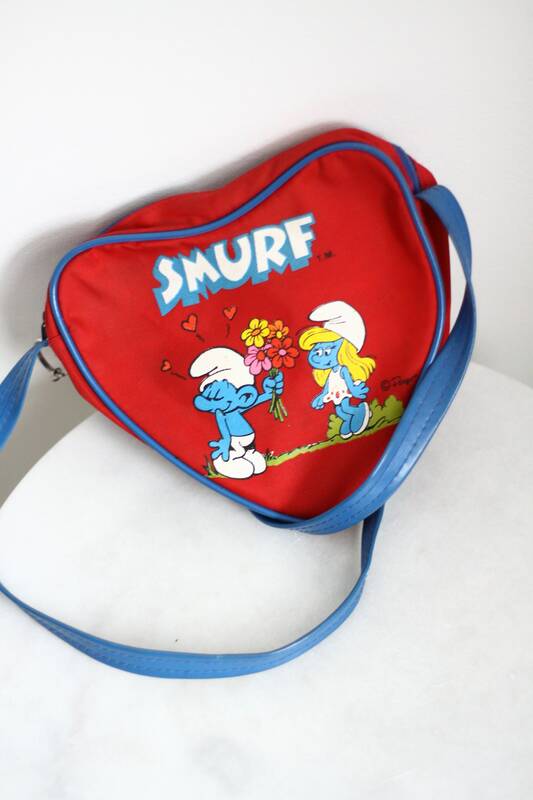 Super fun Smurfs purse from 1982. 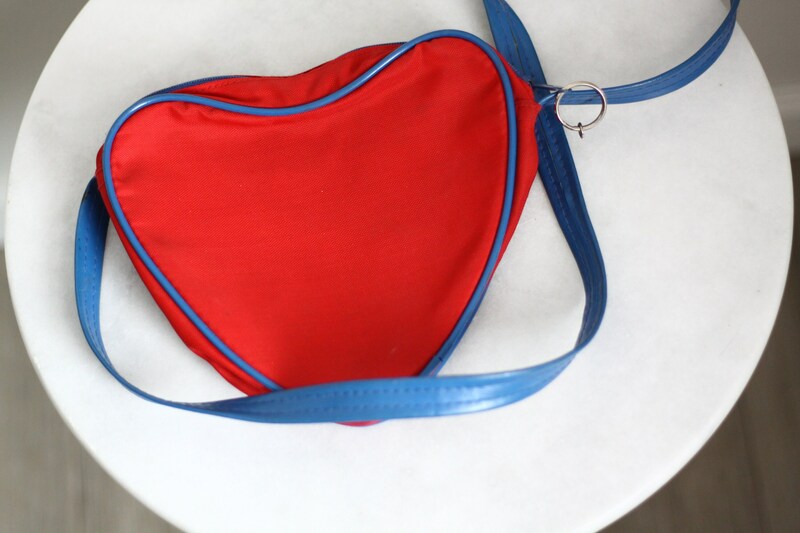 Cross body style in the shapes of a red heart. 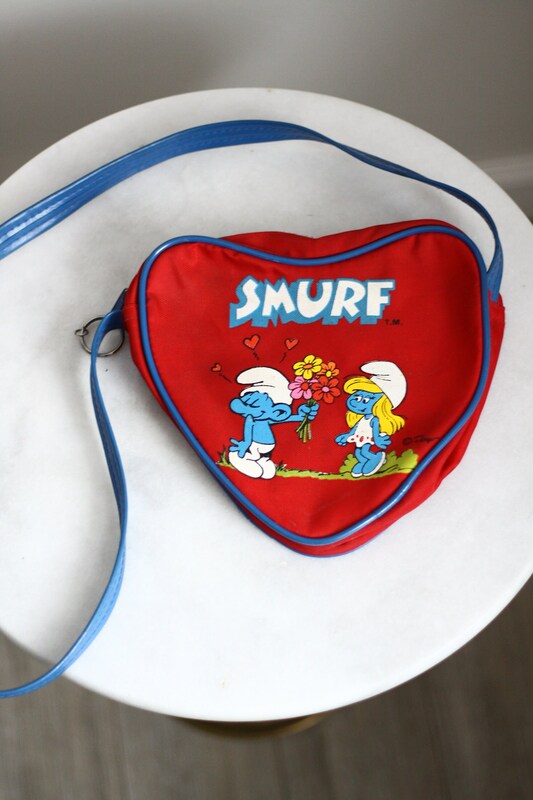 Blue cross body strap. 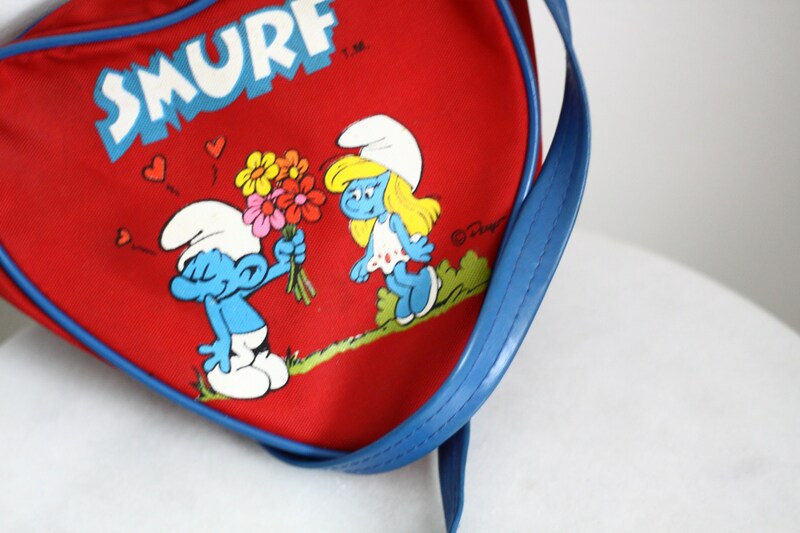 Zipper closure at the top of the purse.